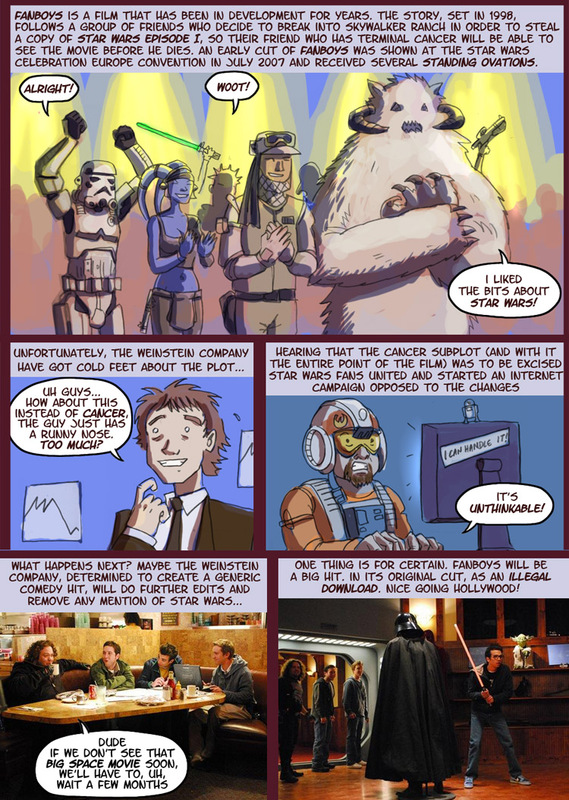 and we'll add it to the review page! 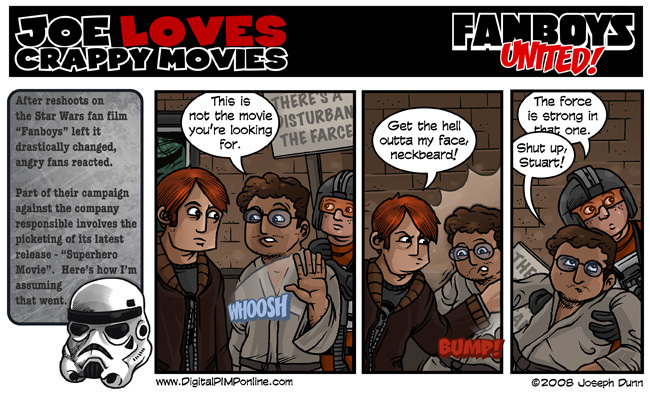 The Dirty Truth About Fanboys - Grand Moff Brillohead is outed! Weinstein Company Website - Have a look at the movies we'll be boycotting! 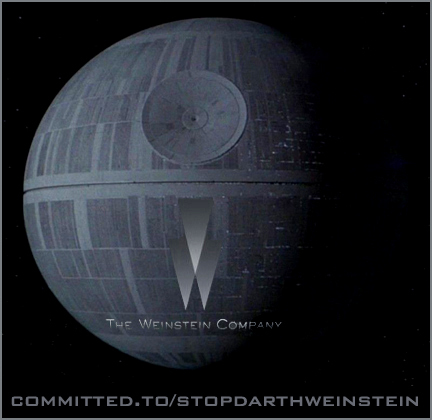 Stop Darth Weinstein and Save Fanboys! 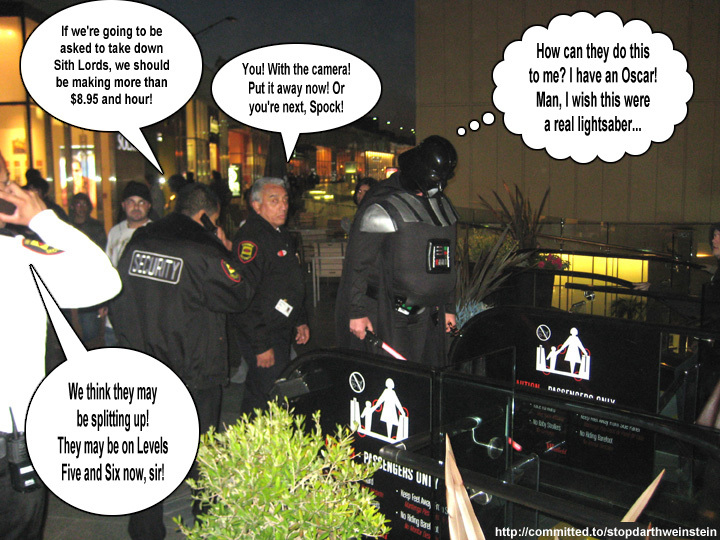 TheForce.net Podcast for 1.18.2008 - Podcast discussion about why fans don't want the movie changed. 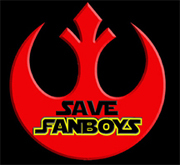 Fanboys May See Serious Plot Changes - Messing with a movie called Fanboys is really just asking for trouble! 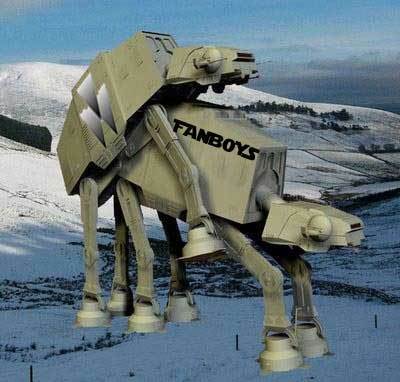 Fanboys - Delayed Again - Fans vow not to see it if the plot is changed! Damn You!!! Damn You Harvey Weinstein!! !